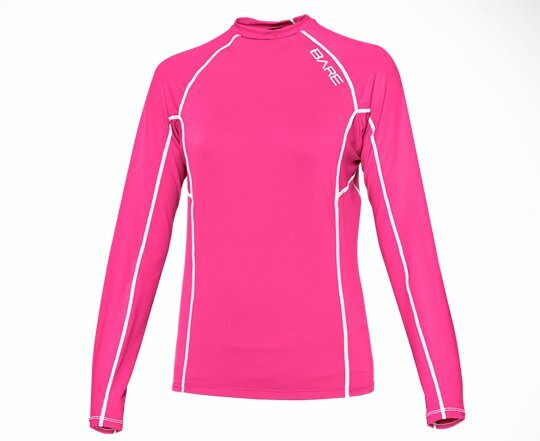 This long sleeve top also provides some protection against wind-chill on the beach or boat. 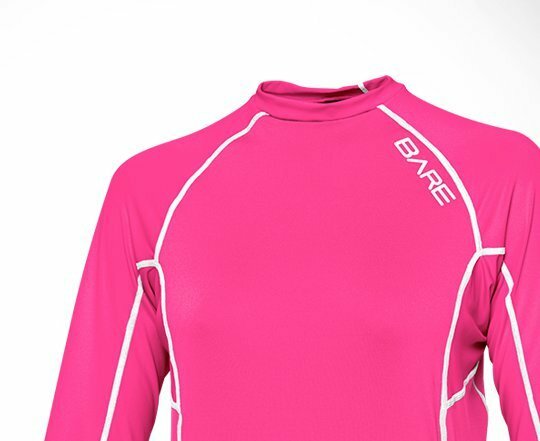 Bare now offers the sunguard in a “timeless” and more conservative design for those that want a traditional look. 50+ UV rated protection to reduce overexposure to harmful UV rays leading to sunburn and other harmful effects. These comfortable sunguards are made with durable flatseam construction throughout to reduce seam chaffing and provides next-to-skin comfort even when used as a base layer under a tight fitting wetsuit. 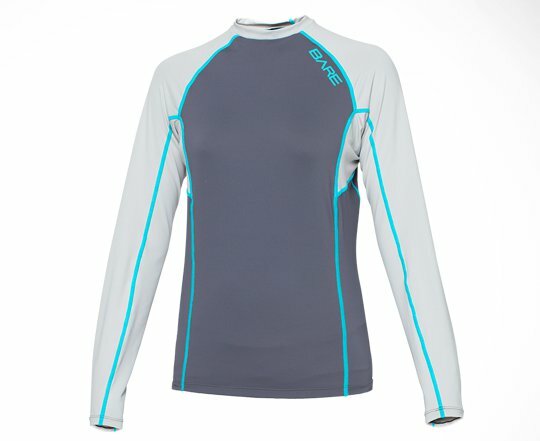 This is a great option for divers, surfers, paddlers and those that are out just enjoying the beach. Available in two colours and 4 sizes.